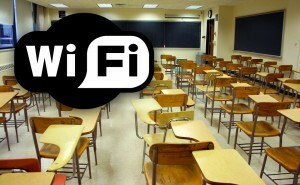 There continues to be controversy about the use of WiFi in the classroom. To add to the confusion, over the past year or so, we are learning that WiFi transmitters emit Electromagnetic Radiation (EMR) similar to the microwave radiations used in the design of microwave weaponry. Barrie Trower, a British physicist and microwave weapons expert has been sharing his experiences on the subject to audiences considering WiFi in the classroom. When connected to these potential dangers, keep your distance from the source, such as your WiFi router. When using your laptop computer, iPad, tablet or other handheld device in your lap, be sure to use a laptop radiation shield. Protecting yourself using an Electromagnetic Radiation (EMR) shield from devices at zero distance from the body will eliminate the worst dangers the WiFi transmitter can deliver. With most of the career with the Royal British Navy and military intelligence, Barrie Trower dedicated much of his career in the study of the effect of microwave energy on the human body. He recently came out of retirement to share his experiences about WiFi in part, because he strongly understands that microwave radiation and WiFi radiation are very similar. Both are health risks to humans and not harmless as others may claim. In another example, Trower says, “I was previously aware of reports concerning dead birds in and around communication bases. On examination these birds were found to be cooked.” He was referring to powerful microwave communications having the capacity to oscillate cells sufficiently as to cook the birds alive. Additionally, he points out that Electromagnetic Radiation (EMR) can give us headaches, disrupt our sleep, open us up to infection and create fatigue. He goes on to say that, in high concentrations and over large durations of time, it has been documented that these radiations can cause cancers, like leukemia. Laptops, tablets, and other handheld devices connected to the internet via WiFi, can either rest on a desktop or a child’s lap emitting Electromagnetic Radiation (EMR). Elsewhere within a building, there are access points and routers, also transmitting Electromagnetic Radiation (EMR). When directly near the router transmitters, children are exposed to the strongest signal the equipment can emit. Even moving only a few feet away, exposure dangers quickly diminish. As a good rule of thumb, at four foot away, exposure levels and associated health dangers are greatly reduced. Mr. Trower believes all exposure is dangerous, but sometimes you may find it important to be connected to the internet via a WiFi connection. Maybe you are traveling, or maybe your university offers WiFi, or maybe you just have a WiFi router you use at home. In many ways, WiFi is impossible to avoid. The most intense exposure is when you electronic device is on your lap at zero distance away from the body. For these conditions, find laptop radiation protection. 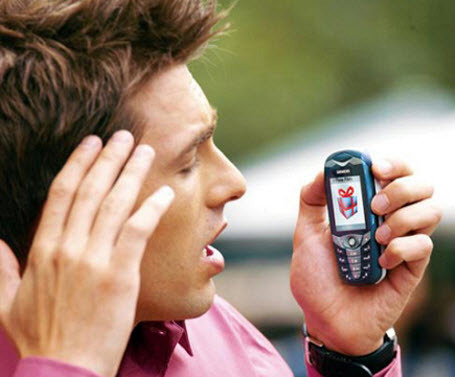 Putting an Electromagnetic Radiation (EMR) shield between you and the device removes the worst of the exposure danger. WiFi in our classrooms, by some, is considered as dangerous as military microwave weaponry. At the very least, we should be aware of the potential dangers and find ways to avoid them. Keep your distance from radiating sources or use laptop radiation protection when using laptop computers, tablets and other handheld devices that contain WiFi transmitters that emit Electromagnetic Radiation (EMR).